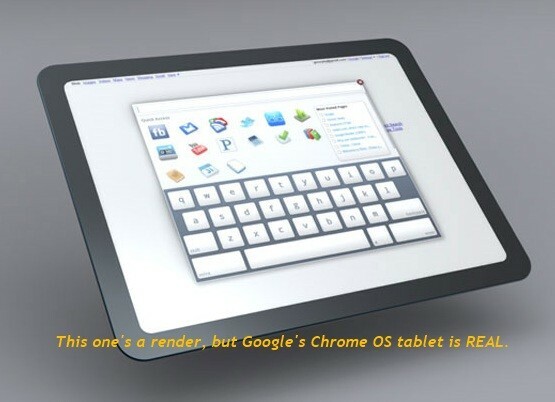 Google bringing a Chrome OS tablet to market, just in time for the holidays. Well here’s an interesting turn of events. According to Download Squad, it has been confirmed that Google is rolling out an HTC-built Chrome OS tablet. Apparently it’s set to debut on November 26th and will be sold via Verizon. Oh, in case you’re not aware: November 26th is Black Friday, this year. The single biggest shopping day in the US. Is this the closest thing we’ve seen to real competition to the iPad? In our humble opinion, yes. Without a doubt. The question is, of course, will you buy it?